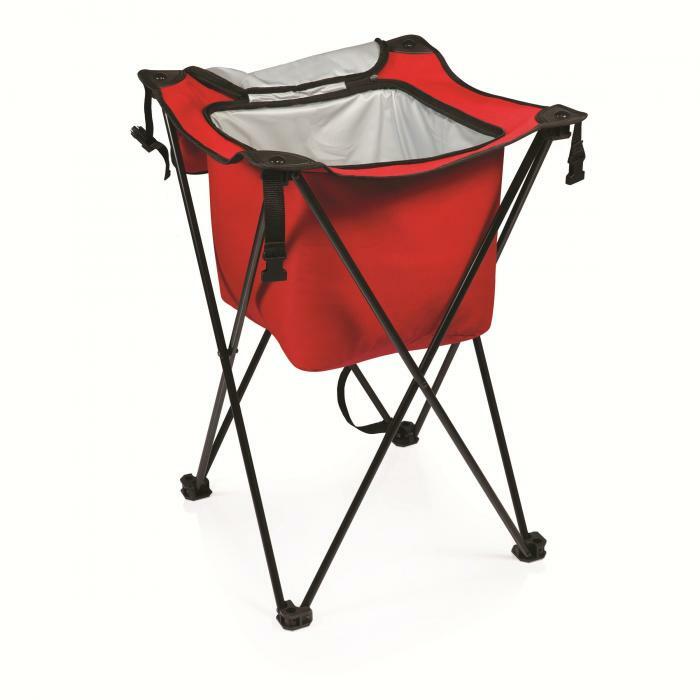 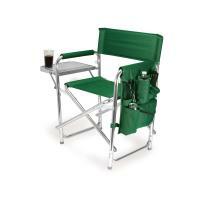 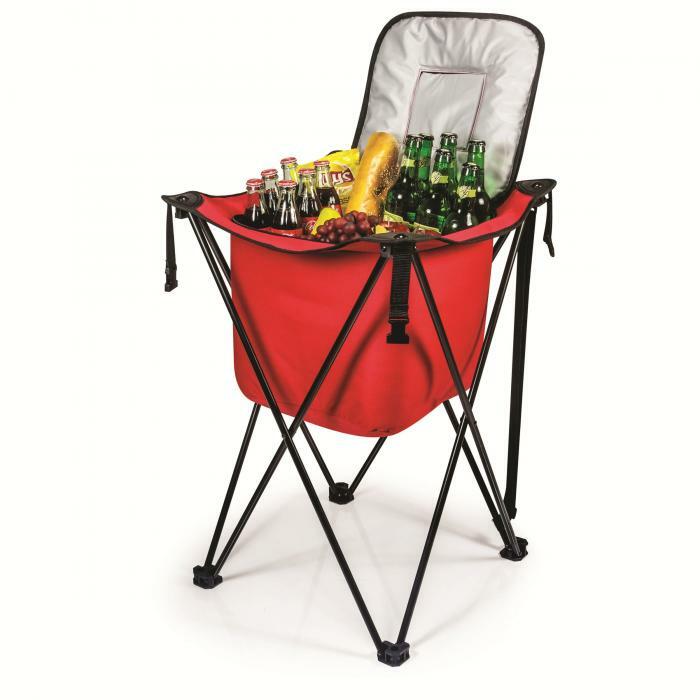 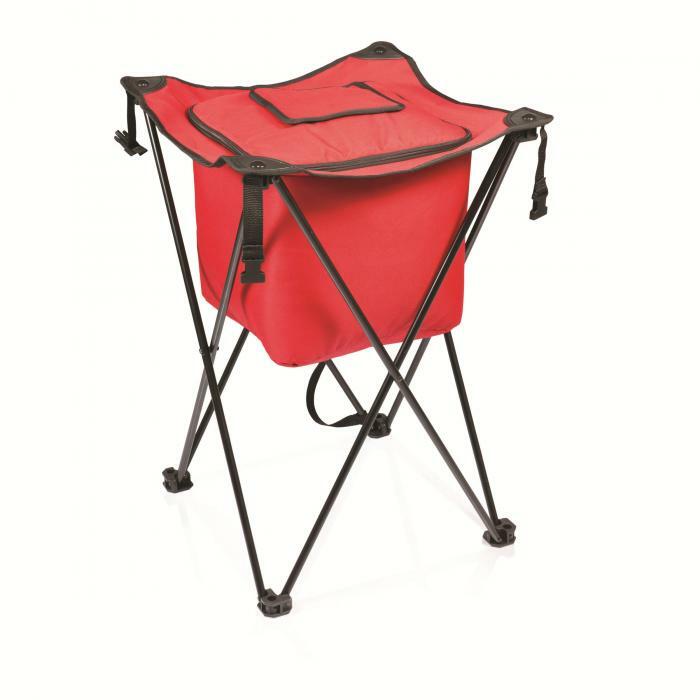 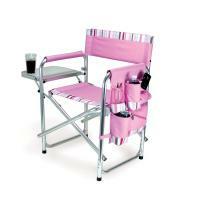 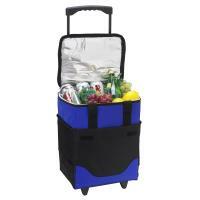 Portable polyester cooler with heat-sealed, water-resistant interior and steel legs. 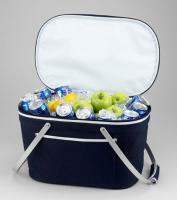 Features large zippered opening to load cooler and smaller opening for convenient access to the items inside. 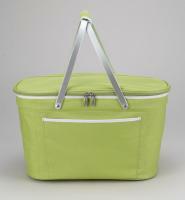 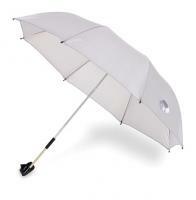 Has an adjustable shoulder strap, and folds easily for storage.